We invite you to a talk by TFSR Cymru Director and Trustee Ian Jones to hear about their work and how you can get involved. 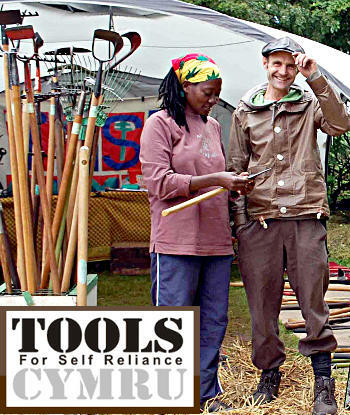 TFSR Cymru collect unwanted hand tools and sewing machines from all over Wales. Volunteers refurbish them and send them to community groups in several African countries. They also sell Fair Trade tools made by Blacksmiths and Leather workers in Tanzania. Over the past 30 years they have sent almost half a million tools to Africa. They recycle tools of every description and nothing is wasted! Broken tools are repaired; blunt tools are sharpened; broken handles are burned in their wood burning stove in the winter to keep the volunteers warm, and unwanted metal sold as scrap. They have won awards from Powys Zero Waste and have a very low carbon footprint. You can download a poster and a leaflet to help promote the event. Free admittance includes hot drink and cake served at 7pm. All are welcome! Last year Jude came to talk to the TLT about the 6 objectives the local Business Group had set for her. She is coming back for this meeting to talk to us about how those objectives fared, what was achieved and what is still to do. 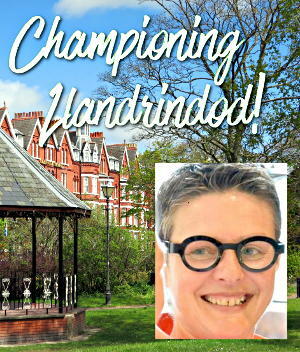 The Welsh Government have just announced that the Llandrindod Wells Town Champion pilot scheme has been extended into a second year. Jude will be able to share with us the new set of objectives she has been set for 2016 and talk to us about what the future holds for the post, the initiatives the post has set in motion and indeed the town. A poster to promote the meeting is available to download. Please print and display. Clive and Philippa currently look after 14 colonies of naturally kept bees in Builth Road. In this talk they will share the wisdom and insights gained from their own experience and stress the importance of having the 'right relationship' with the bees. The talk will also include practical information on first steps, equipment and skills needed to set up a hive and specific approaches to managing naturally kept hives. They believe the heart of this is supporting bees as pollinators rather than honey producers. Over the last 8 years they have helped many people to set up and keep bees in their gardens, and given on going mentoring along their journey as beekeepers. They promote a simple and easy, low maintenance approach to natural beekeeping. They created a Sussex based natural beekeeping group that still meets regularly every month, with over 100 members and In 2014 successfully set up a British Black Bee sanctuary as part of a Sussex school, with 8 hives and an area for the creation of a bee friendly garden. 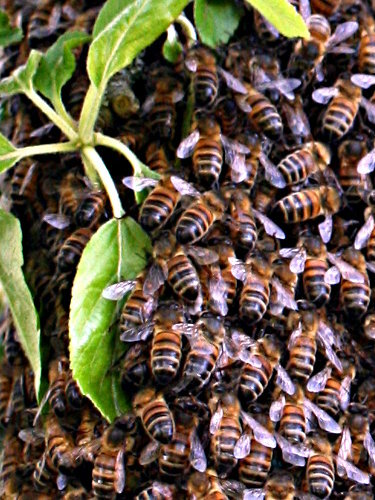 They work specifically with promoting a world where bees can thrive. 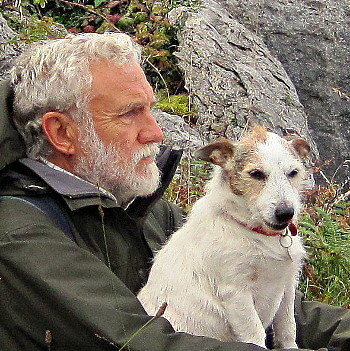 Clive and Philippa will be happy to answer your questions. Did tiny bacteria turn the Earth into a giant snowball on more than one occasion? Why was the evolution of trees and dinosaurs a cause of great concern? Are we only here today because of the chance evolution of athlete’s foot and wet rot fungi? The Earth is entering a new geological epoch of rapid climate change. Can we learn enough lessons from the past to ensure our survival? Free admittance includes cake and hot drink served at 7pm. All welcome. A poster to help promote this event is available to download.